Anybody can sketch. Quick test in 4 steps! Anybody can sketch. Quick test in 4 steps. 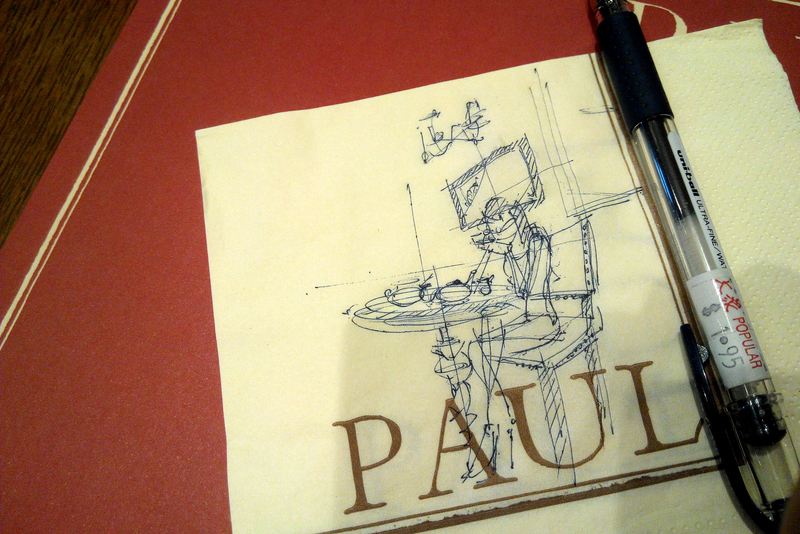 I stop for a while at a cafe Paul to sketch. I am preparing the next week course of [Sketch like the Pros]. 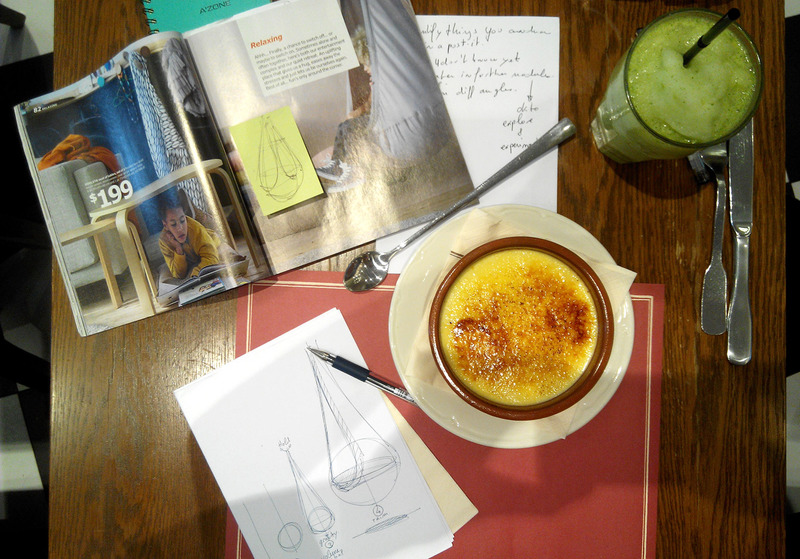 I’ve just took a picture of my yummy Creme brulee and mint lemonade but also some sketching TIP I would like to share with you. 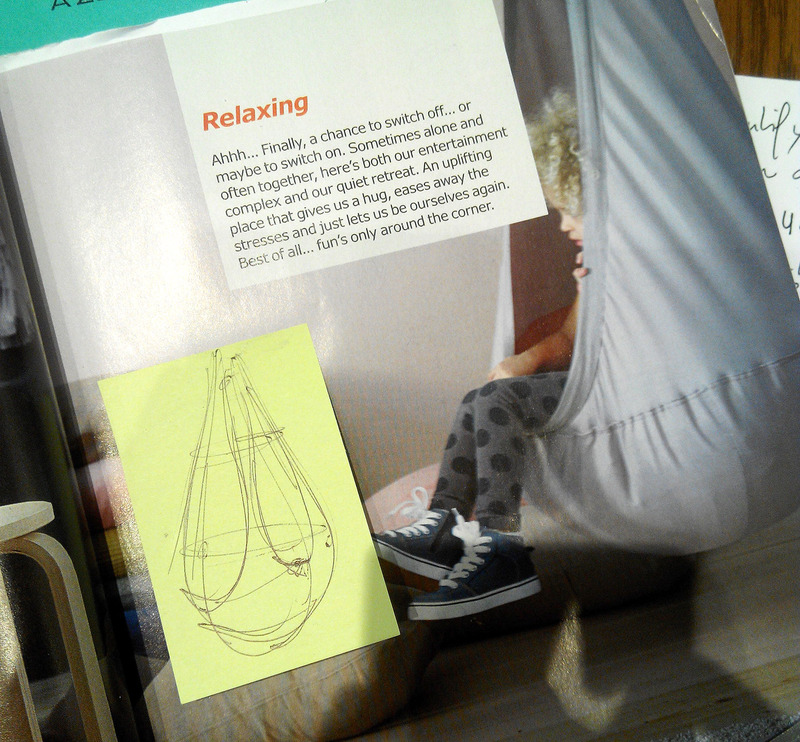 TIP: Use an IKEA catalog (or any other free advertising) you get in your mailbox as a sketching study book. The advantage of a paper catalog is that you are free to draw on top of the pictures. Something you can hardly do from a picture found on Internet, except if you have a graphic tablet though. But I like the idea of carrying my Ikea study book wherever I want. 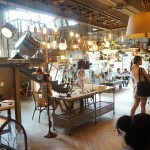 I personally like IKEA brand as it’s functional, simple, fun and beautiful! They have great products to start with. TIP: Decompose what you see in simple geometric shapes. That’s truly essential!! Imagine you have an X-Ray vision super power like Superman. So you can draw 3D volumes like a 3D software. Focus on general shapes first and details later. Simplify the main shapes in simple geometric one. So you will be able to draw complex things that won’t look awkward. It’s about planning a sequence of action that allows you to draw fast and nice. 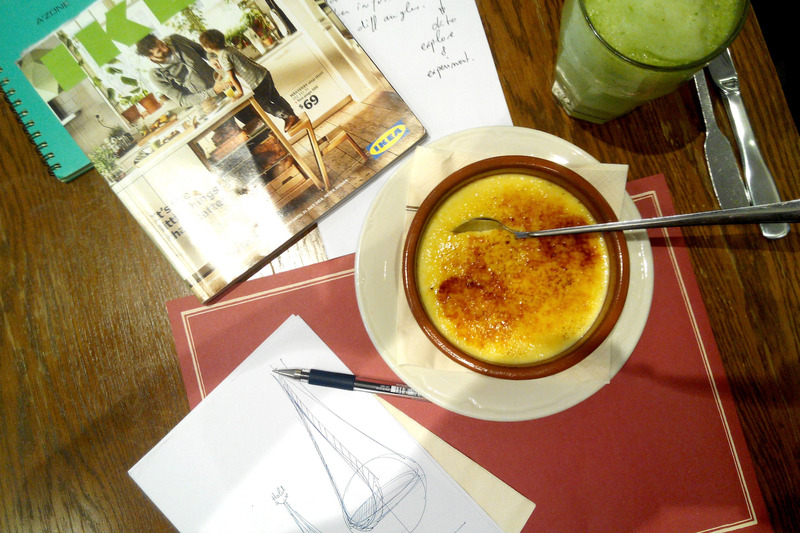 We will draw the IKEA product using these 3 golden rules to practice our sketching skills in good condition. It will be a great phase of exploration where you will take a product from a 2D picture and draw it in multiple angles! Of course, it needs some good basics of perspective such as drawing a cube in any angle. 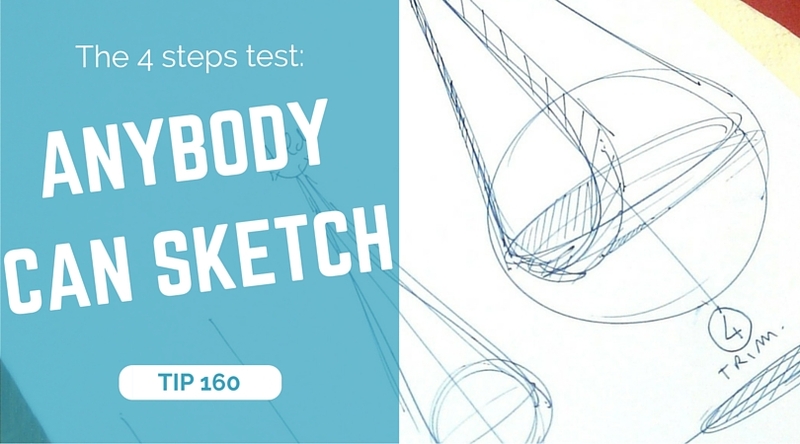 You can find a step-by-step exercise of perspective for beginner in the Designer Starter Kit. Learning how to sketch is like learning a new language. To be fluent, it is not enough to learn the theory – you definitely need to practice. Vice-versa. 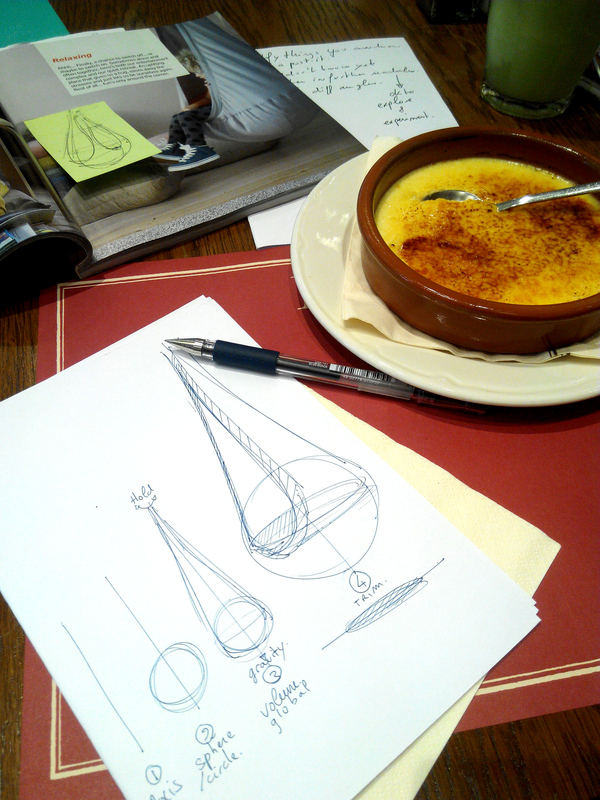 Observe, analyze to plan a sketching sequence – and draw. This relaxing chair for kids is light and suspended. It’s symmetrical and we can simplify the bottom part as sphere. STEP 1| Start with a vertical axis that will serve as a symmetry axis. STEP 3| Spot the holding point. Join it to the sphere. (To make the circle become a sphere, simply add an ellipse inside – make sure the ellipse is at 9oº to the symmetry axis). STEP4| Add some hatching for the ground shadow to show the suspension. Add some hatching to give more contrast to the product itself. i.e. The supportive band that surrounds the entrance. Extra note: Draw taking in consideration the gravity that goes along the symmetry axis – so your sketch will looks more dynamic. This sketch takes only 30 seconds to draw. 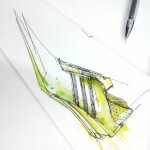 A product designer needs to sketch fast. So he can multiply his ideas in a shorter time. He could also draw a napkin doodle face to face to a client in a cafe. To do so you don’t necessary need to draw with a faster pen movement. You have to work on your observation and analytic skills. But want to learn, I invite you to try these 4 steps and let me know how it goes in the comments. Just wanted to highlight that sketching is not about innate talent but essentially about techniques. This is why anybody can learn how to sketch! 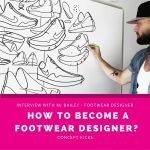 Hope you find this article helpful and find some courage to start your project. We all start somewhere. Ok ? PS: A few minutes doodle I did of a lady drinking tea in front of me. Your website is really nice and useful. post your schetching as much as you can! Thank you for great shares, really all very usefull informations. Hello Ken, I am happy to help 🙂 Thank you for your kind words.